When New Orleans comes to London, this is what you get. 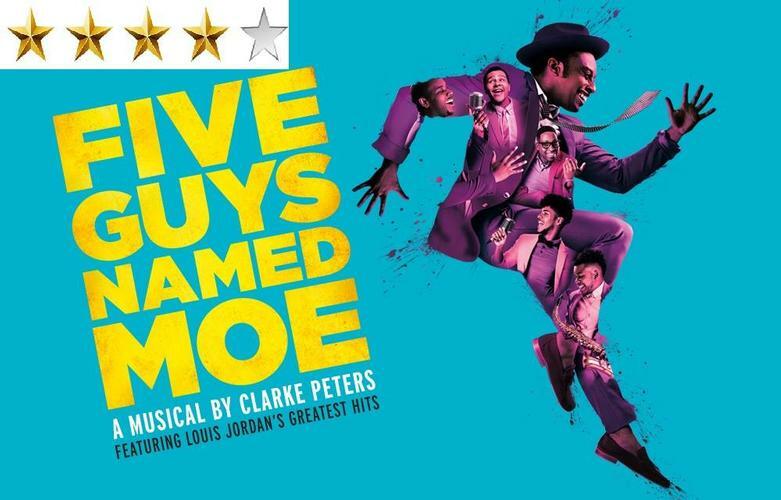 Five guys named Moe is an injection of joy and happiness, that anesthetizes your brain for a couple of hours and makes you smile like a child until you get out of the (very nice pop-up) theatre. Basically, there is no story. It is just about the 5 Moes giving advices on love, relationships, and life to a man, Nomax, who has been dumped by his girlfriend. It is kind of a juke-box musical with plenty of audience participation. The fact that there is no story maybe is not some people might like, but with plenty of great singing, great dancing, jokes and fun, I really enjoyed my time and did not care much.